Bikes may only be parked on bike racks on campus. 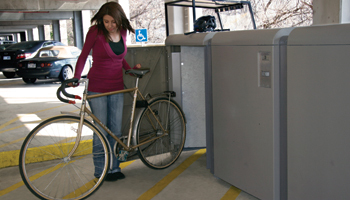 In addition to greater security, parking your bike at a rack keeps it out of walkways and wheelchair-accessible areas. Bikes not parked on racks are subject to impound, fines, or booting. 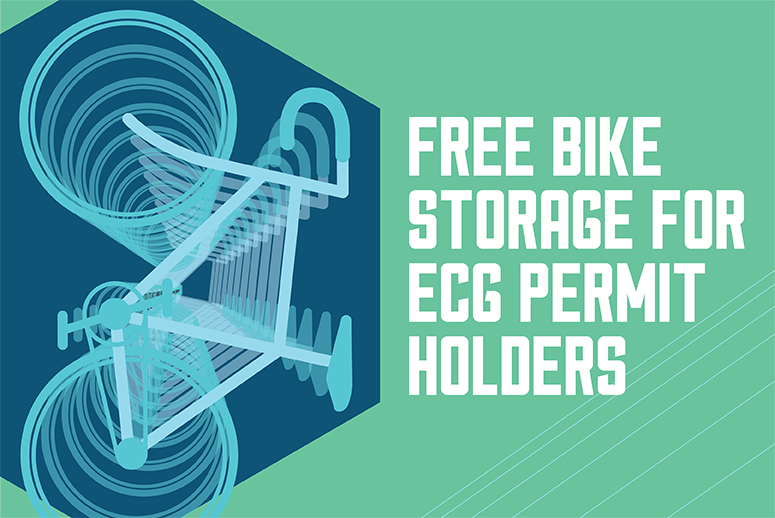 The East Campus Garage provides a secure indoor bicycle storage facility located on the lower level of the garage. Utilizing CORA bicycle racks, the new facility has secure space for 160 bicycles and comes equipped with a water fountain, central AC, DURO tool station and air pump. All requests will take up to 48 hours to complete. Once your request is processed, you will receive an email confirmation with further information on how and when to access the area. No other items can be left in the space other than a bicycle.